We were delighted to have helped Rosemary (60) find a new job with Massereene Manor Care Home in Antrim. When Rosemary joined our Jobmatch program she had not worked for 26 years. She lacked confidence in her ability to find work as she had no recent work experience. 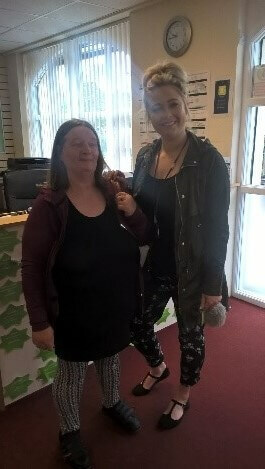 Rosemary worked on her employability skills with her dedicated Employment Coach, Nicolle. She completed mock interviews and application forms, drafted cover letters and updated her CV. She also gained qualifications in manual handling and food safety and hygiene which helped enhance her CV and prepared her for work in a care home. Rosemary’s hard work and dedication paid off when she was offered full-time work in the care home. She is enjoying her new job and is excited to have started this new chapter in her life. We wish Rosemary every success for the future. If you are unemployed and interested in developing your skills or finding employment why not give us a call on 028 7963 1032 or email info@networkpersonnel.org.uk to find out what support we can offer you.